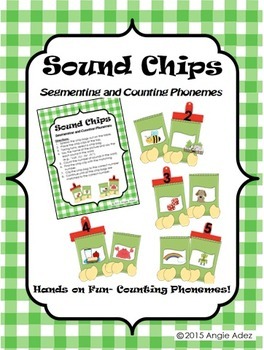 Serve up some fun while practicing phonemic awareness skills! This is a fun way to introduce & reinforce phoneme segmentation. 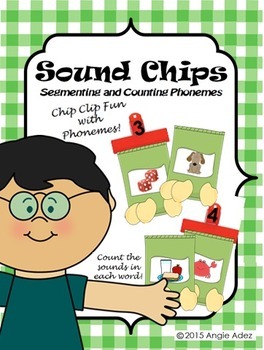 The student chooses a chip bag, names both pictures and counts the sounds in the word. The student then places the chip bag on the correct numbered chip clip. 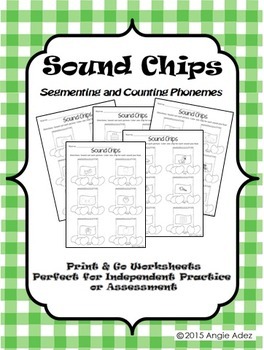 There are also five corresponding “Sound Chip” worksheets. These are perfect for independent work or assessment! 22 pages of FUN with words and sounds!